but i WAS running the really blue 80/110watt 9007 bulbs in it. HID's are significantly better in my opinion. Anything that plugs in to the stock wiring harness can't put out anywhere near the light that an HID does. I found most of the 'brighter bulb!' options that plug into a stock socket really wern't that much brighter. One word of advice though. AIM THEM!. Even a millimeter too high and they can blind people. HID's have a bad rap for blinding people, but it's always misadjustment. HID's are the bane of night driving for me. What makes it far worse is nowadays most drivers are too obnoxious to dim their lights to oncoming traffic - what's this world coming to?! Generally when people do an HID upgrade, they swap in projector headlights to aim them. Unfortunately, they just take the lenses out of the box, put them in and go. I see lots that are cross eyed, or one is pointing at the ground, and one is up. When I put mine in, I got my dad to drive the opposite way, coming at me to see how they were and we adjusted from there. Also, when putting HID's in reflector style lenses, the light tend's to not be nearly as focused and can just go anywhere. 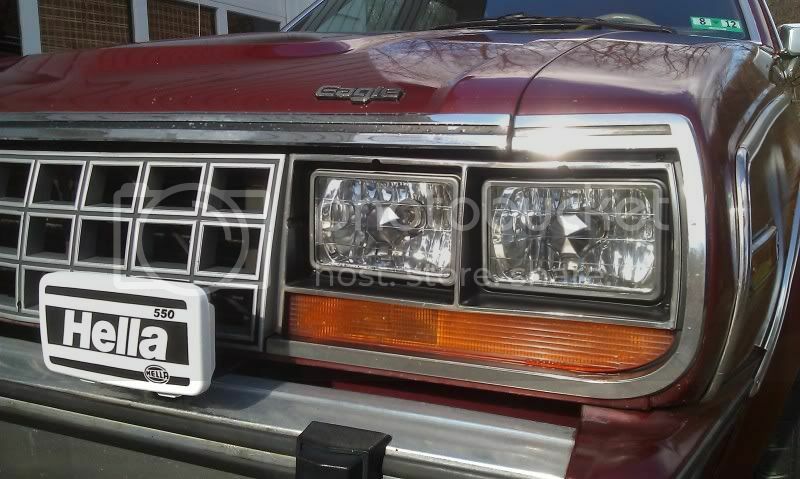 Before I put mine in, I heavily debated it just because the factor of other drivers, and I've been blinded by people with HID's before, but my headlights were really poor. I actually have mine aimed a little bit low, just for that reason, because I was afraid of blinding other people. 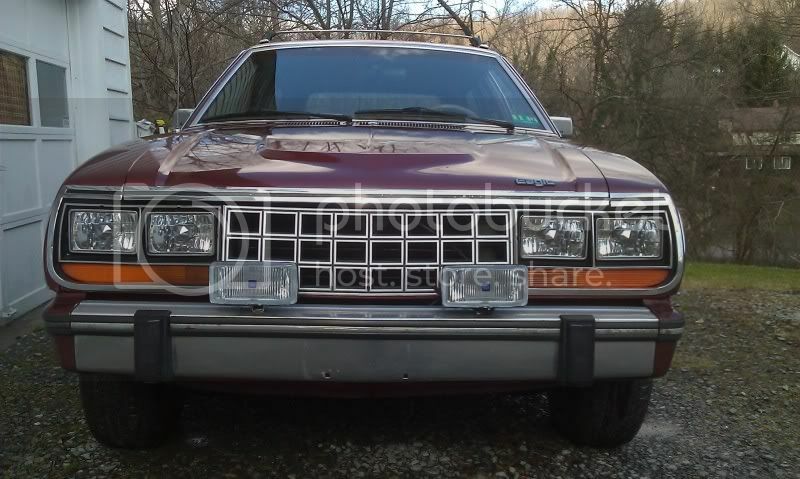 Most of it should be applicable as they have the 4 headlight systems, and use the same stock headlights as eagles. Looks like only the low beam plugs need to be switched to make everything operate right. I've seen people have issues without switching the wiring like low beams dimming or going out with high beams on and such. It means you have the Good sealed beam bulbs. Standard 4656 outside bulbs are (High/Low) 35w/35w, the better bulbs are 40w/55w. The 4651 inside high beams are 50w. You can swap in 4666 designed for 2 headlight systems that are 65w/55w, but they have one angled pin on the connector, and I'm not sure if the pins are re-arranged or not. You would need to modify something. Yes, the high beams are 50w instead of 65w, but because they are not designed for high/low they waste less light so should have the same apparent brightness. The outside high beam provides more of a middle focus on high, while the inside high beam is focused further away. 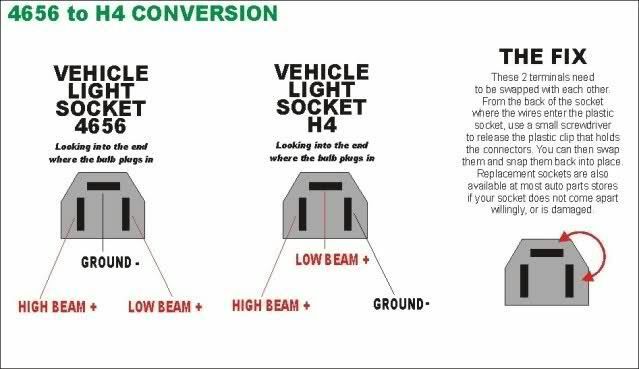 Hella and Cibie make an inside high beam housing that uses H1 bulb, which is 55w@12v under European law, or 65w@12.8v under US law, but is exactly the same bulb; there are just different ways to measure it. It's a better high beam then using H4/HB2/9003 in the inner pair for the same focus issues. I always avoid the blue-tinted bulbs. Only a very slight coating is legal, and in any case it's filtering out light, which I don't want. The U.S. only allows white, however most of the rest of the world allows selective-yellow as well. Looks like they focus the light pretty well. 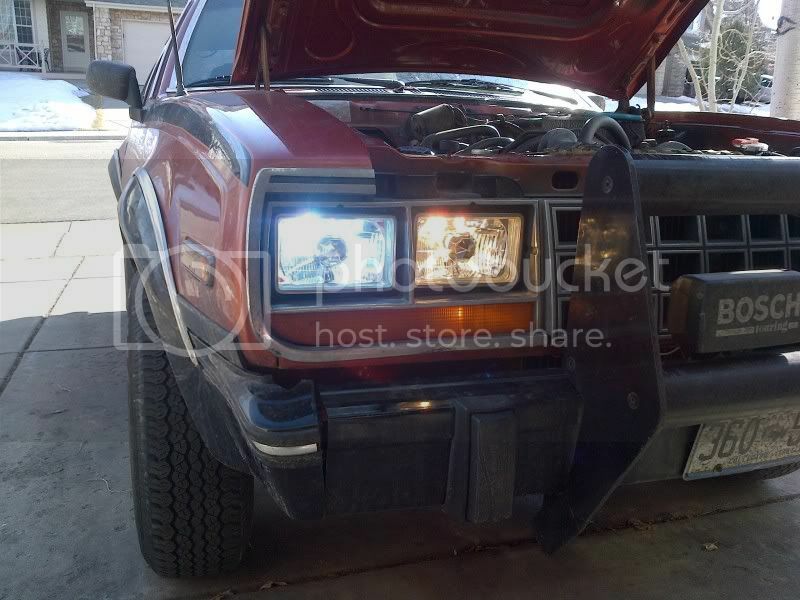 I had similar style composite headlights on my old s10 and with the regular h4 bulbs they threw light all over the place, not good for the oncoming traffic. I think I might have to invest in a set of these soon. I did the wiring modification today that allows the low beams to stay on when you turn on the brights. Thanks for WoodenBirdofPrey for teaching me about diodes. Picked up a 3A one from Radio Shack, dusted off my soldering skills, and wired it in. Here is a shot of the HID 8000K low beam alongside the H4 high beam. The combination looks a little odd, but I've heard that with the HID's you'll rarely need the high beams. I'll test it out this evening. I recently upgraded all of my headlights with the sealed beam conversions, and new Hella Fog Lights. The kit came with 4 semi-sealed beam housings with glass lenses and 55/60W H4 bulbs. 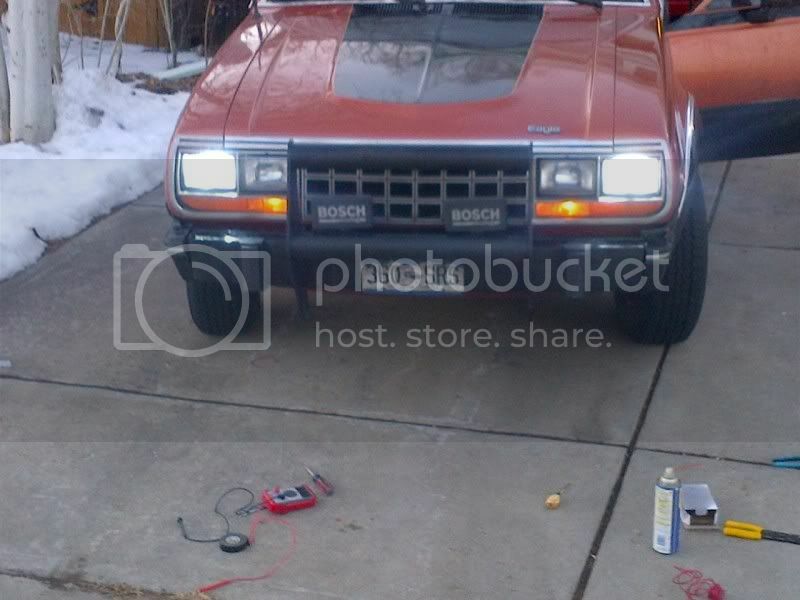 I also installed Hella Model 550 fog lights which have 55W H3 bulbs. Here's without the fog light covers. Close up on driver's side. After using the Thomas Edison Incandescent (Not even Halogen) 35 Watt Sealed Beams, these headlights are amazing. 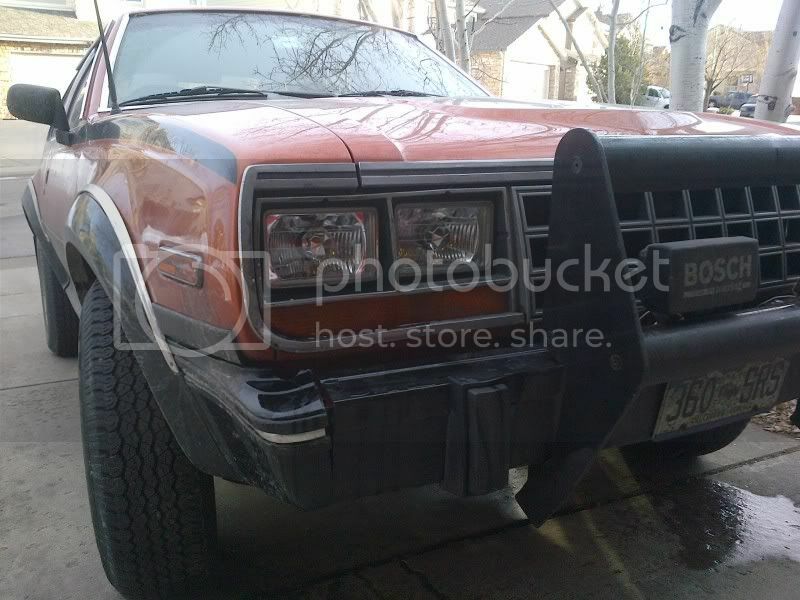 I can see over 10 times better, and the fog lights cut through anything. I would highly recommend them to anyone who's tired of not seeing clearly at night. Old topic here but I have have a question relating to this thread that may be easy to answer for the electrically inclined. 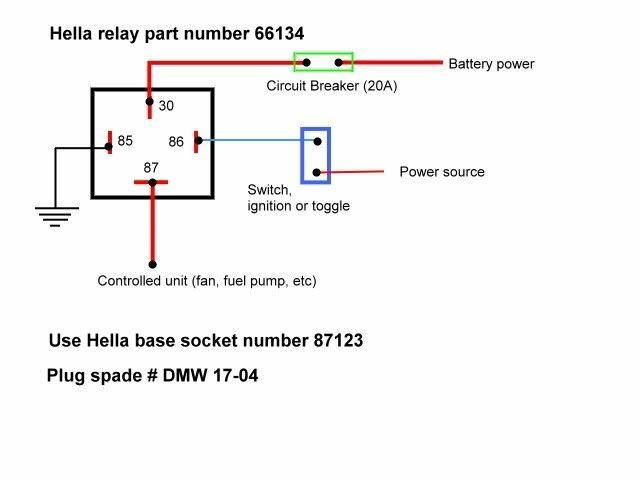 When doing this h4 conversion I notice lots of pre fabricated wiring harnesses with dual relays have a plug and play type connection for the original headlight switch of whatever vehicle your installing it in. 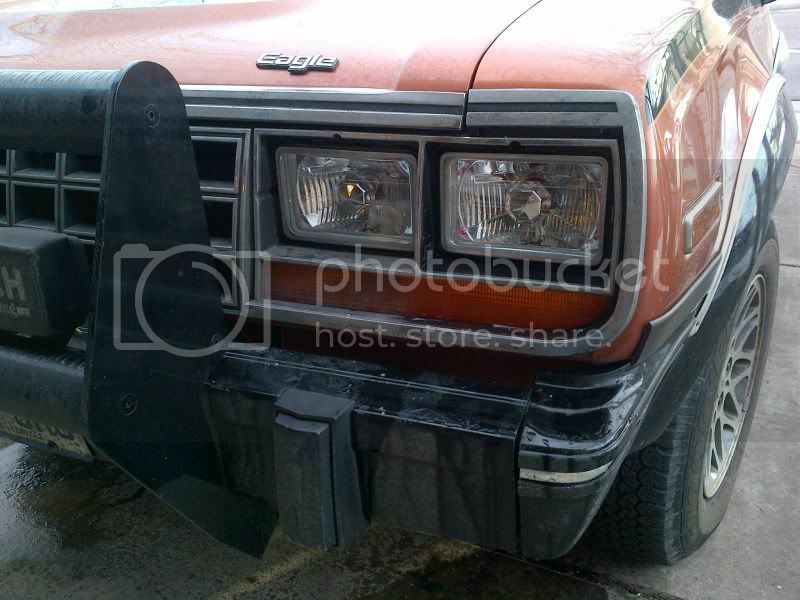 I looked and can't find any such plug for my eagle just the green white and black wires from the headlights to the dash. Would a guy be able to splice the new harness into these wires eliminating the original system and use the new h4 built harness with dual relays and the battery positive connection without doing damage? Absolutely, that's what needs to be done. You can get a harness that either plugs into your old headlight sockets or cut them off and solder on the harness. The original wires that powered the lights will now only let the relay know to power the new H4 bulbs, substantially lowering the electrical load on the switch and providing more volts to the bulbs. This thread is excellent! 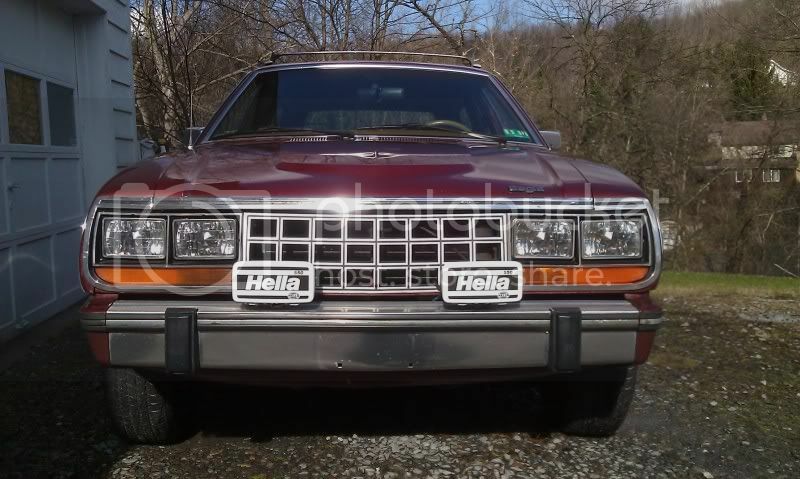 I was originally very interested in the headlight upgrade, but grew wary of them having an excessively blue light. Now that I can see pictures of such nice white light coming from an Eagle, I can easily say that these will be on my car when I can afford it. 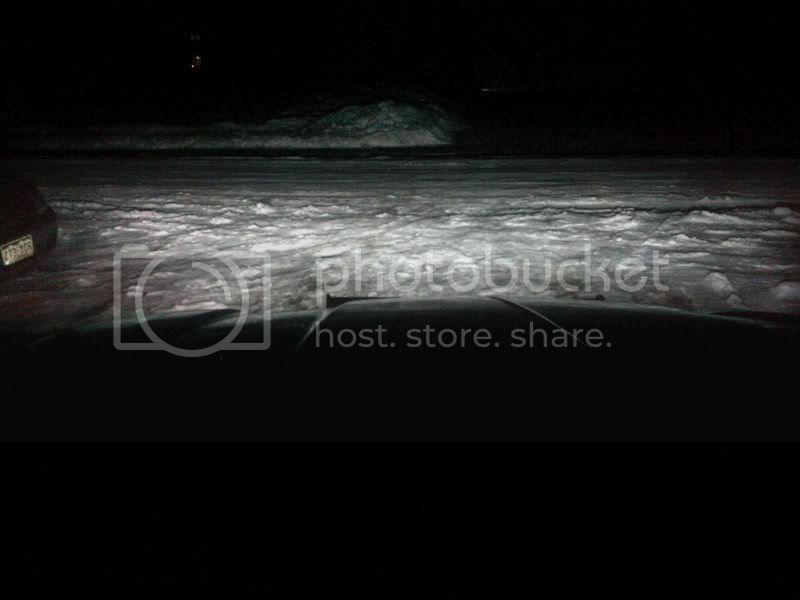 Even with my headlights newly adjusted, they are still very dim at night and make it difficult to see clearly. They look great on Pepe, vangremlin, and it's also nice to see a comparison of the different strength bulbs for reference, Sunny. Thanks for the helpful info and diagrams as well, eaglefreek! May I recommend this for sticky, or possibly Eaglepedia if someone compiles the pictures and diagrams here? Eggs to you guys!